Free eBook on Landscape Photography From Anne McKinnell! Landscape photography is one of the most difficult types of nature photography. Since there’s so much going on in a landscape image, it’s hard to always be aware of everything and this leads to a lot of common mistakes. 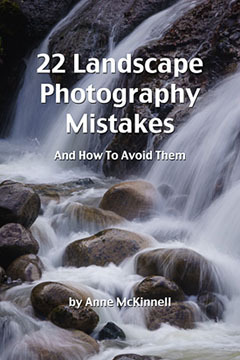 Well, we’re in luck, because Anne McKinnell released an excellent eBook this week: 22 Landscape Photography Mistakes (And How To Avoid Them). It’s an extremely straight-forward guide to improving your landscape photos. And, best of all, it’s completely free! The eBook covers a bunch of common mistakes, such as crooked horizons, cluttered backgrounds, lack of depth, blown out highlights, and much more. If you’re not already familiar with Anne McKinnell, she’s a great photographer, and an excellent writer and teacher. She’s written multiple books on photography, all with a ton of great reviews on Amazon. She writes in a very friendly tone that makes it easy and fun to learn. She also has a wonderful blog, where she shares more great photography tips. [Read more…] about Free eBook on Landscape Photography From Anne McKinnell! 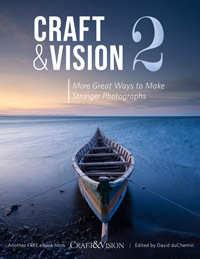 A few months ago, Craft & Vision released an excellent ebook on photography for free. If you haven’t already downloaded and read that one, then I highly recommend checking it out. It’s packed with some great tips from lots of great photographers. 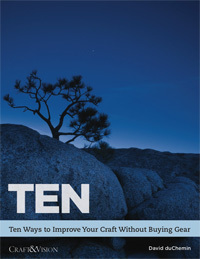 Last week, Craft & Vision (founded by David duChemin) released a free eBook with nine excellent articles on how you can improve your photography. The articles are written by a variety of professional photographers and cover a wide range of topics. And although some of the articles may not specifically apply to nature photography, I’ve always felt you can learn a lot by exploring other types of photography. 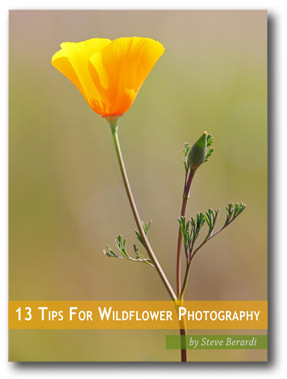 With spring beginning here in the southwestern United States, I thought it was time to update our free ebook on wildflower photography. The original version was released about three years ago, so it was due for an update. Most of the content is the same, but I’ve learned a lot in the last three years, so I’ve updated just about every page in the book, and replaced a few tips with newer articles. 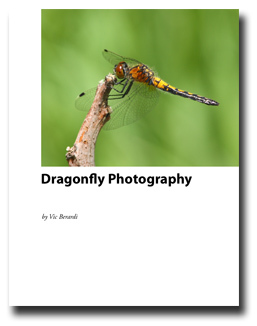 Today I’m happy to announce the release of a free eBook about photographing one of the most unique insects on the planet: dragonflies. The eBook was written by my father, Vic Berardi, who is an outstanding photographer of hawks, dragonflies, and wildflowers. 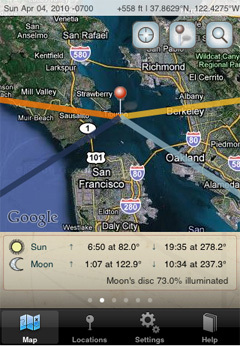 Photographer’s Ephemeris now available for iPhone! I’ve written about The Photographer’s Ephemeris before: it’s a free desktop application that runs on Windows, Mac, and Linux. It’s a tool that helps show you the exact position of the sun and moon on a particular time of day, overlaying their azimuths on top of a Google Map. It’s hard to explain the entire program in one sentence because it does so much. But, it’s a tremendous tool for landscape photographers, because it can help you scout out areas and determine ahead of time if the sun will shine on a particular mountain peak at sunset. Well, this great tool is now available for the iPhone too! Here’s a list of the app’s great features: [Read more…] about Photographer’s Ephemeris now available for iPhone!